Adam at the audience at the Oscars, looking gorgeous. 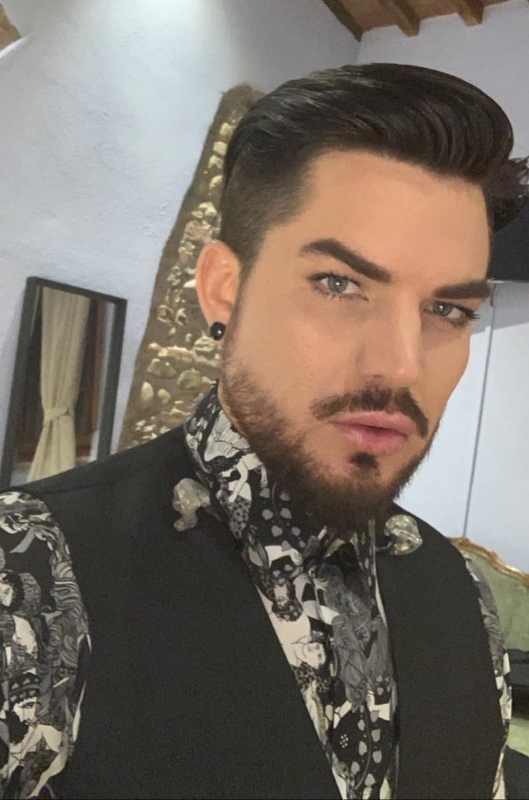 INSTAGRAM: Adam Lambert postou essa arte linda da @creativesharka no seu Story. INSTAGRAM: Adam Lambert has posted this beautiful art from @creativesharka in your Story. Now I understand about the jacket, he brought his couch with him!! Sarina’s tweets are protected, ultimathule. eta: But @gelly tweeted it. Radio was reporting that Rami Malek will play the villain in Bond 25. Any chance that @QueenWillRock and @adamlambert could do the #007 theme song? MarketingBitch @LIBlondMom Radio was reporting that Rami Malek will play the villain in Bond 25. Any chance that @QueenWillRock and @adamlambert could do the #007 theme song? Is this legit? Cos an Adam Lambert/ Pink collab is at the top of my list!!! I made a compilation from various media tweets, Adam at the Oscars red carpet (not the pro red carpet videos I already posted) from the moment he arrives until the end of the red carpet. Walking, Posing for the paps, ROYAL!! I’ll bet that collab on the Pink album might be true. Why would he post that random WWFM on Instagram. Pink wrote that. Hint? ETA: just noticed the tweet I posted about Pink’s album has been deleted. I’ll bet that collab on the Pink album might be true. Why would he post that random WWFM on Instagram. Pink wrote that. Hint? ETA: just noticed the tweet I posted about Pink’s album has been deleted. Javier Bardem was on Conon O’Brien. Conan asked him about the Oscars & his “rocking out”. At about 1:20.